From my own experience, applying for summer internships can be a stressful and intimidating process but well worth the energy. I am currently going through the process myself, and I have picked up a few (perhaps obvious, perhaps not obvious) insights in my internship search. I have constructed a loose timeline for applying for summer internships in public relations. Before you apply, do your research. Ideally, this is something you have been doing all semester. Especially if you are starting now, focus on internships related to your areas of interest while keeping an open mind. Busy college students do not have time to apply for every internship in existence, so you need to focus your efforts on internships that interest you. If you know what kind of PR you want to do, that is excellent. In that case, you may be able to narrow your search quite a bit to areas you are interested in that will help you in your quest for your goal. However, if you are like me and are still exploring your options in PR, definitely keep those options open. If you have already tried working in an agency setting, maybe try applying for some in-house or nonprofit PR internships. 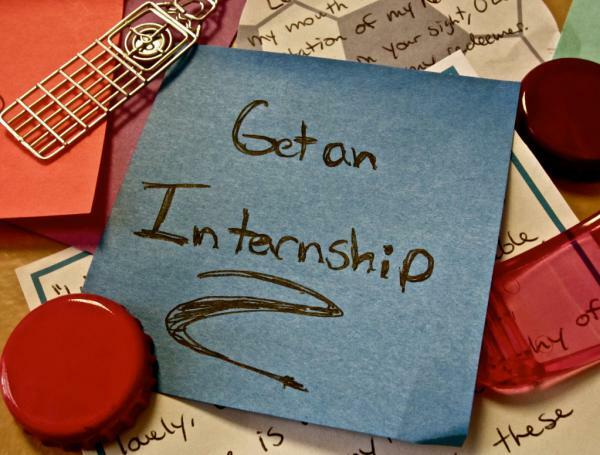 Be selective, but not picky, especially if this is your first internship. Internships are definitely hard to come by if you have not had experience, so try keep an especially open mind about your first one. -PRSSA’s internship database: if you are not signed up for this, you should be. All PRSSA members have access to this and is a great resource that you should check regularly. This can be found here. -Your school’s online career database: for BU, this is the Career Link which can be found through the BU Center for Career Development. Also, you can use the COM Career Insider. -Contacts: reconnect with anyone interesting you have networked with during conferences and see if they have any internships available. -Consult your peers: talk to people you know have had good experiences in their internships to help focus your search. While you are doing your research, get your résumé reviewed and updated if you have not done so in a while. Also, get your professional wardrobe together for your interviews. It may seem obvious, but always dress your best for interviews. In my experience, it is always better to be overdressed than underdressed if you are not sure what to wear to an interview. If you apply before or during spring break, you should probably hear back from employers toward the end of March or early April about interviews, depending on the employer. Interviews can be tiring, but be persistent. Interview with as many employers as your schedule can handle. Stay focused and do not get discouraged. A week after your interview. After your interview, follow up with a thank-you note. This is a simple but thoughtful gesture that can make a difference. If you have not heard back a week after that, follow up with phone calls and/or emails. I prefer calling, because phone calls are more personal. Phone calls are also more direct than emails, so you will likely connect with whoever you are trying to speak with quickly. Finding plans for the summer can be stressful, as there are many unknowns involved, especially if you are applying to internships in locations that are far from home. Have backup plans if you do not get the internship you want or expect to get. Try to find out where you are going to be living for the summer, and know how you are going to support yourself, whether that means living at home or finding a part-time job in Boston or another city. Once you have these things figured out, finding an internship becomes less stressful, because it can become your main point of focus.